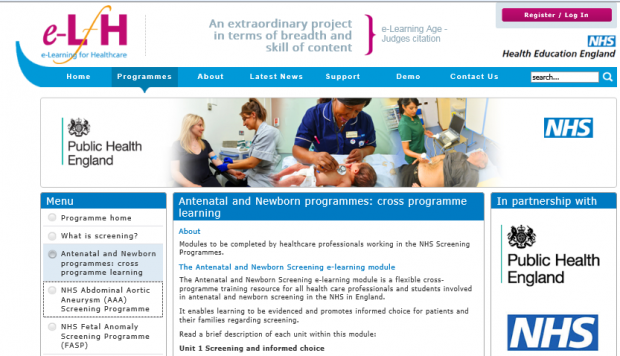 Read all about the 7 screening e-learning programmes, including 15 modules containing nearly 100 units now available on e-LfH. The screening continuing professional development (CPD) website is still open for existing users until 30 April 2017, but if you want to start new e-learning you must register for the new website. I have previously blogged about how to sign up for e-LfH and it’s definitely worth re-reading these steps if you haven’t had a chance yet. The previous blog article also includes a video that explains the standard registration process. Here are 3 more tips to help you when registering. If you can’t find your job role, select the role which is closest to yours. Choose OTHER if there isn’t a close alternative. The options for region are: North, South, East, West. These will soon be expanded. In the meantime, if you are from the Midlands please select East. If you are from London please select South. When you get to the stage of choosing the e-learning you want to take, the NHS Screening Programmes are under the heading ‘Public Health’. Sometimes everyone needs a little support and a new way of getting assistance comes with the move to a new home. 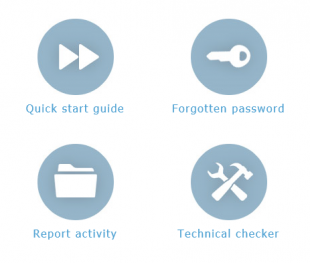 E-learning queries should no longer come through the screening helpdesk. There are 3 new ways to get e-learning help. I’ve forgotten my password, how should I reset? I can’t find my screening programme – where is it? how can I evidence my learning? If you have a more complicated question, you can start a live chat with the e-LfH helpdesk. This works much like any online messenger, such as Facebook or Skype. To access live chat, login to e-LfH and look at the top of your screen. If the tick is green, a support advisor is available. If the tick is orange all advisors are busy and you should submit a ticket. Start a conversation with one of the e-LfH team and they will advise you on your query. If they can’t solve it on the spot they will clearly let you know the next steps for fixing your problem. This service is available from Monday to Friday, 9:30 to 12:30, 14:00 to 16:30. You will receive a reference number for your ticket, and the e-LfH helpdesk will get back to you within 3 days. PHE Screening BLOG articles provide up to date news from all NHS screening programmes – replacing our previously published newsletters. You can register to receive updates direct to your inbox, so there’s no need to keep checking for new blog articles.